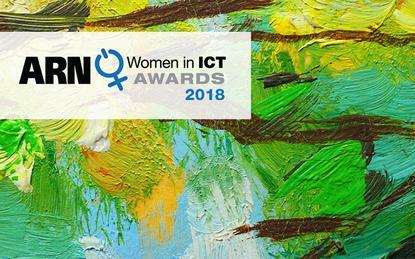 Nominations have been extended for the 2018 ARN Women In ICT Awards (WIICTA), with submissions set to close at midnight on Monday 29 October. In its seventh year, the awards celebrate gender diversity and recognise female excellence in the Australian channel, acknowledging the achievements of a talented group of female front runners who have become influential figures across the local ICT industry. Specifically, WIICTA will honour the channel across seven categories; Achievement; Rising Star; Shining Star; Entrepreneur; Innovation; Technical and Community. For over 27 years, ARN has faithfully chronicled the role of women in ICT, with WIICTA providing a program that promotes and recognises the professional achievements of those within the industry. From an awards perspective, nominations can be submitted for a colleague, by an employee, employer, business partner or individually. Nominations close on Monday 29 October, and the winners will be announced on November 23, at a celebration lunch at the Ivy Ballroom in Sydney. The Achievement award recognises the candidate showing outstanding commitment to the ICT industry through continuous career development and professional achievements. The candidate will have risen to a senior ICT role, earned a reputation as an esteemed thought-leader and recognised as a leader in the industry, and may also act as a role model/mentor to other aspiring female managers. The Rising Star award recognises the candidate with a commitment to continuous career advancement and a proven desire to reach the next level of professional development. The candidate - who has been working in the ICT industry for less than eight years - is growing quickly in importance in the ICT field, demonstrating outstanding business acumen and professional integrity. Due to an overwhelming number of strong female contenders in the Rising Star category, we created a new category. We now have an additional Shining Star award for great performers with more than eight years in ICT. The successful candidate will have shown noted achievements in the ICT industry, demonstrated areas of success (either through promotion or successful project/company initiatives), and highlighted noted achievements in the ICT industry. The Entrepreneur award recognises the candidate who has achieved outstanding results in the ICT industry; an enterprising individual who has achieved success through risk-taking and initiative, often shattering the status quo in business in order to set up new ventures, products or new services. The Innovation award recognises the candidate who is a stand-out in delivering ‘big picture’ ideas and vision in the ICT industry, thereby responding to change and discovering unique and challenging business opportunities. The candidate will show a proven track record of finding new and better ways of doing business, continually pushing the envelope in the ICT industry. The Technical award recognises the candidate who has excelled in the IT and engineering segment of the market, demonstrating a proven depth of knowledge and abilities. The candidate will demonstrate excellence in problem-solving and decision-making skills, and an exemplary level of accomplishment in job performance. The Community award recognises the candidate with exemplary service to the ICT sector, through philanthropic initiatives and efforts to foster a positive working environment for women in IT. The goodwill ambassador will be actively making a difference in the IT community, working towards the advancement of women in ICT, and going above and beyond to give back to the community.